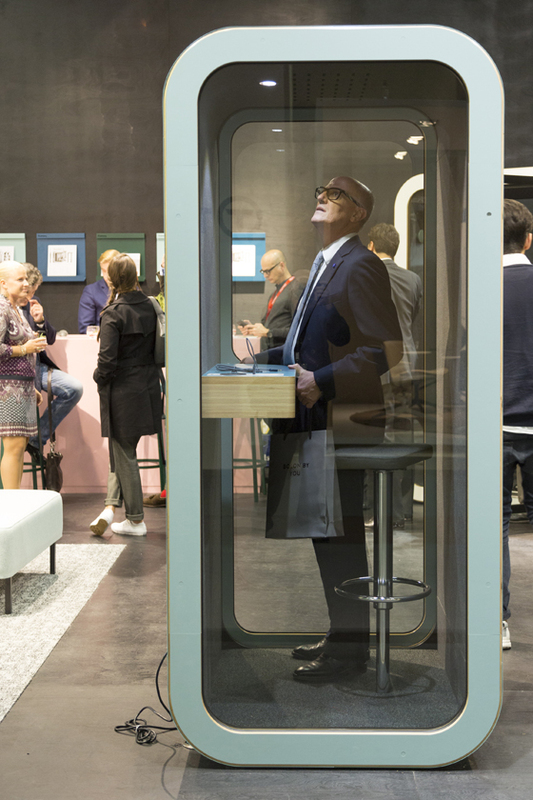 With a central theme of "culture@work" this year's ORGATEC, the leading trade fair for the modern working world – held from 23-27 October – presents an extensive programme of events offering a comprehensive look at the future of workplace culture. 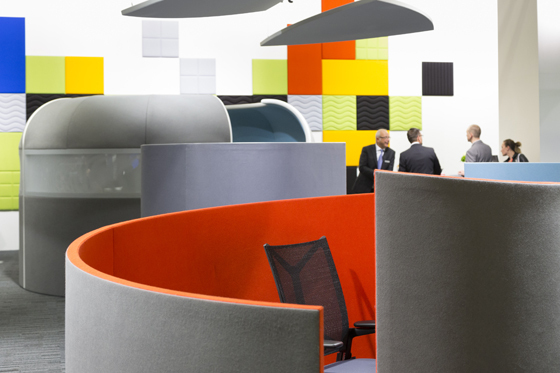 Modern work environments must be experienced – and what better place for a full immersion in today’s workplace design currents than the biannual Orgatec in Cologne? Tailor-made for architects, planners and engineers, the leading international trade fair of its kind is holistically conceived as a source not just of expert information, but also a large dose of Inspiration – which along with Intuition, Imagination, Improvisation and Interaction is one of the of the five big “I’s” to which the fair is dedicated. 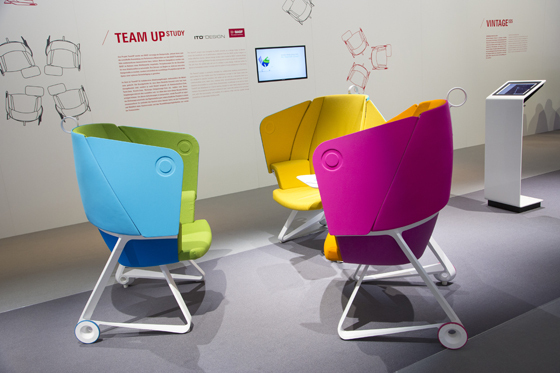 These comprise the key ingredients of the future workplace. For the 2018 fair, Orgatec takes a broad perspective. 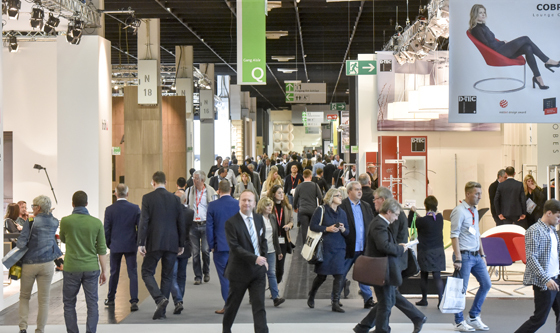 Visitors will be offered a comprehensive global market overview in the spheres of interior design, furnishings, lighting, acoustics and media technology. But that is just part of the whole – because the focus will once again be placed on the human being. 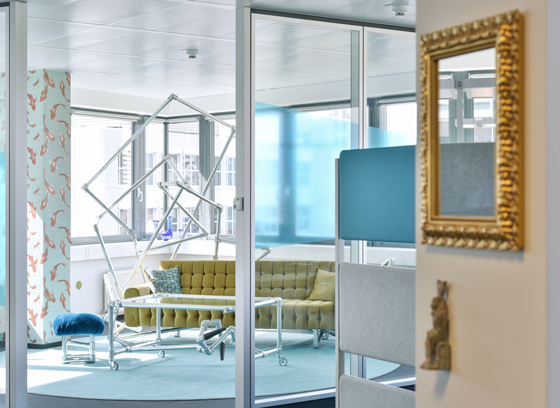 Workplace attractiveness, teamwork and communication, balance and well-being, as well as holism and digitisation now hold an equal position among the industry’s areas of priority. 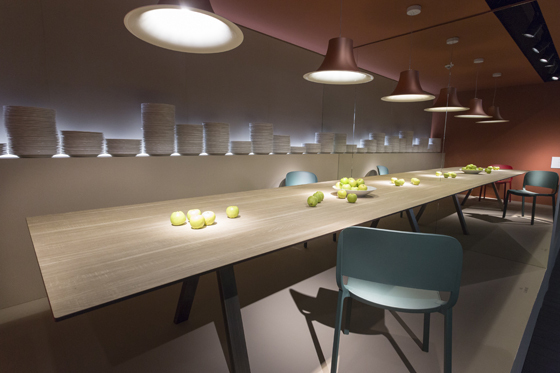 Innovative materials, the subject of exciting presentations in the Materials Pavilion by interiors+sources and in the special exhibition Culture Materials, are becoming an essential aspect of companies’ strategy for success, along with corporate culture and practical relevance. 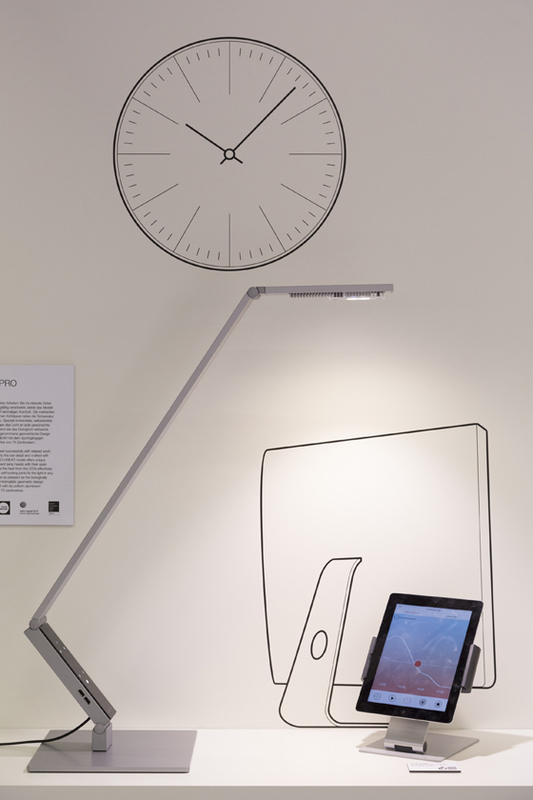 The analogue and the digital stand side by side, and the fair explicitly aims to achieve a balance between the two. This will be optimally illustrated by a rich spectrum of events that generates enthusiasm for the challenges and developments in the industry and enables people to immerse themselves in wide-ranging variations and solutions. 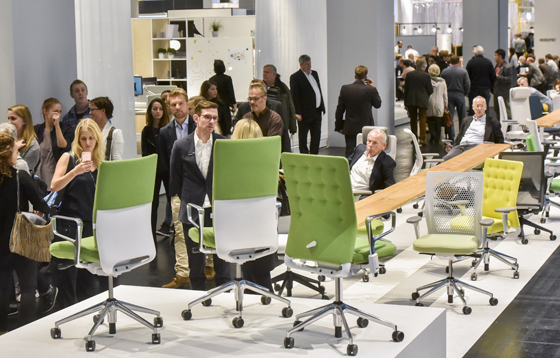 While, for example, the Orgatec Trend Forum presents talks on how companies can best take advantage of and orient themselves to trends, the Xing New Work Sessions feature inspiring thought leaders who will report from their practical experience and discuss their insights for the future. Visitors shouldn’t miss the Health Culture Knowledge Forum, devoted to an important pillar of successful business, or the Smart Office & Conferencing Technology event area, which deals in detail with another key field, digital technology. But there is also room for a more critical questioning of trends and developments. The Work & Style conference held by the weekly newspaper Die Zeit, successfully introduced in 2016, again this year offers a top-class discussion forum for current topics around global and digital challenges. As a special highlight, Orgatec 2018 presents the Format Plant 10.1, which calls for the relinquishing of conventional ideas about forms of working as it presents very different, stimulating visions. “Activity-based working” is the chief topic here. 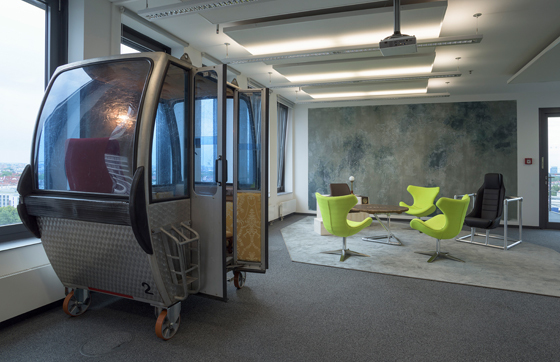 No fewer than seven experience scenarios – Co-working, Presentation Space, Creative Space, Living Room, Mini-home, Playground and High Seat – take up topics that make new, imaginative approaches to work and living space experienceable in spectacular, emotional and sometimes provocative ways. This world unto itself in Hall 10.1 was created in collaboration with the artist group Freeters & Friends, the communications agency Orange Council and the consultancy detecon. Its focus lies in the ultimate dissolution of rigid structures in favour of flexible ones, and in positively influencing the working environment, its design and thereby also the workflow. Startupcorner, a new platform for newcomers in architecture, offers a one-time opportunity for young entrepreneurs in the architectural and real estate industries to present themselves to the public. This format, conceived by the architecture marketing agency ap35 and Peter Förster, supports selected startups (applications are being accepted until 31 August 2018) in establishing a public profile. The initiative, which will be about, among other things, opinions, experience and knowledge around current architecture, will culminate in the presentation of the Startup Award Architecture & Building for pioneering technologies and services in the construction industry. Last but not least: Orgatec 2018 is taking place as part of a trio including the two congress trade fairs architectureworld and Deutscher Hoteltag (German Hotel Day). With various compelling thematic focuses, questions and answers will be illuminated by experts and top-rate speakers from wide-ranging perspectives to provide fresh impetus to trade professionals in integrating architecture yet more intensively in the planning of hotels and other construction projects. The talks will be accompanied by numerous prominent national and international exhibitors, who will present to visitors innovations, individual solutions and the latest trends.